Web-application to edit html-formatted text files and CSV spreadsheets. myFtpWebEdit is a very lightweight web-application that allows to edit html-formatted text as well as CSV files on your server on-line. This can be useful to update text-content and tabled data used on a site without much need of technical knowledge. Unlike most other Content Management Systems, myFtpWebEdit does only allow you to edit text and csv files on your server, nothing more. How you implement these files on your website is entirely up to you. Based on the TinyMCE HTML Text Editor and using the Tango Desktop Project Icons, myFTPWebEdit is published by Bracher-Automation as OpenSource under the GNU General Public License. You can download it for free here. 2. Unzip the file and open "index.php" within the folder "myftpwebedit" using a text-editor and revise the server-settings. Copy the folder in the root folder of your website. To log-in, add "/myftpwebedit" to your website URL. Any standard compliant browser should now prompt you with the login-form. The first field has to be filled with the ftp-user name and the second field with the ftp-password. Press enter once you have both field filled in. If the forms get a red border, your user name and password have been incorrect. (Or the settings in the index.php file are wrong). Once logged-in a drop down menu with all the available files appears. Select the file you want to edit. 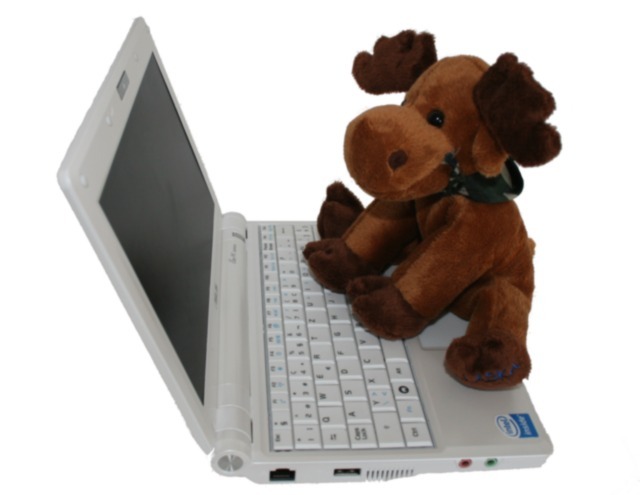 Html formatted text files can be edited using TinyMCE. 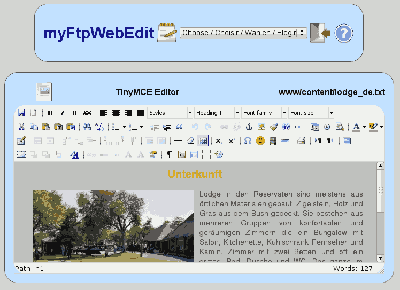 TinyMCE is a very powerful WYSIWYG-Editor. To see what you can do with it, please visit this website: tinymce.moxiecode.com. To save your changes, click on the "Save"-Button within TinyMCE. CSV files are presented in spreadsheet-form and all content, except the first line and the first column (standard settings) can be edited. Just click on the text you want to change. All changes are automatically saved. In the out-of-the box settings myFtpWebEdit does not allow you to add or remove any cells. If you want to have this feature (as well as being able to edit the first row and column) you can enable it by editing the settings in the index.php file.